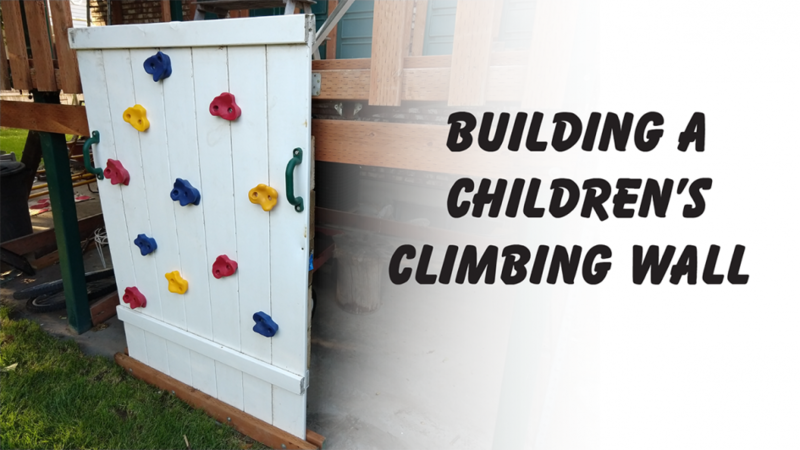 I built a climbing wall for my kids this past week out of an old piece of vinyl fencing and some leftover pressure treated 2×6’s and 2×8’s. I had a bunch of handholds that had been laying around for a while, and decided to put it together. It only took around 90 minutes from start to finish, and the kids love it.